The weather may not drop below 50 degrees, but we at the Royal Floridian and Royal Floridian South love to celebrate the Holiday Season! With holiday parades, festivals, performances and extravagant light shows, Ormond Beach is definitely a jolly place to enjoy this winter season with your friends and family. The City of Ormond Beach Leisure Services Department proudly presents the 26th annual HOme for the HOlidays Nighttime Parade on Saturday, December 10th at 6:30 p.m. Ormond Main Street will present the City Hall Tree Lighting at 6:00 p.m. Watch your favorite themed floats drive by, catch some candy, and you might even see Santa Claus at the end of the parade! For more information, contact Leisure Services at (386) 676-3241 or email parade@ormondbeach.org. 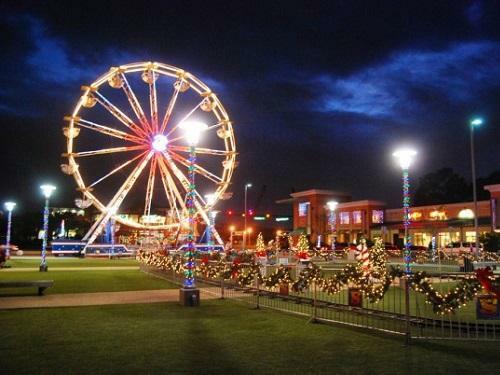 Daytona Beach Ocean Walk Shoppes presents the 8 Wonders of Christmas! On December 10th, you are invited to the Winter Wonderland with Lighted Ice Fairy stilt walkers! This festival is fun for all ages! Walk around the Daytona Beach Ocean Walk Shoppes while Christmas music plays in the background and watch the bubble snow fall. 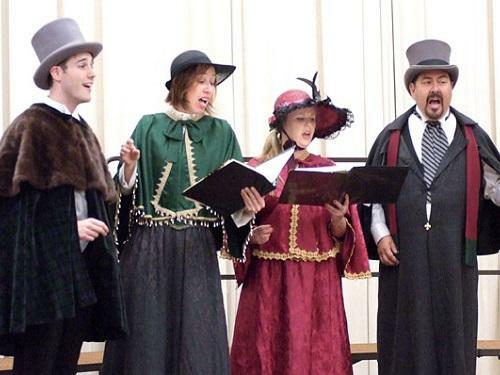 On December 16th and 23rd, enjoy the performance of Charles Dicken’s Carolers. These lovely carolers spread holiday joy by singing our favorite Christmas tunes. For more information visit the website. Schnebly Recreation Center presents the 4th Annual Chanukah Festival located at 1101 N. Atlantic Avenue Daytona Beach on December 18th. This holiday festival includes music, food trucks, inflatables, rock climbing wall, petting zoo, games, awards, prizes, and character appearance by Elsa from Frozen and the Minions from Despicable Me. This event is fun for the whole family in a celebration of Jewish Heritage. The event begins at noon, and the Goldovitz Klezmer Band and Jubilation Band are performing at 2 p.m. Visit the website for more information. The beloved TV classic Rudolph the Red-Nosed Reindeer soars off the screen and onto the stage this holiday season. Come see all of your favorite characters from the special including Santa and Mrs. Claus, Hermey the Elf, the Abominable Snow Monster, Clarice, Yukon Cornelius and, of course, Rudolph, as they come to life in Rudolph the Red-Nosed Reindeer: The Musical. It’s an adventure that teaches us that what makes you different can be what makes you special. 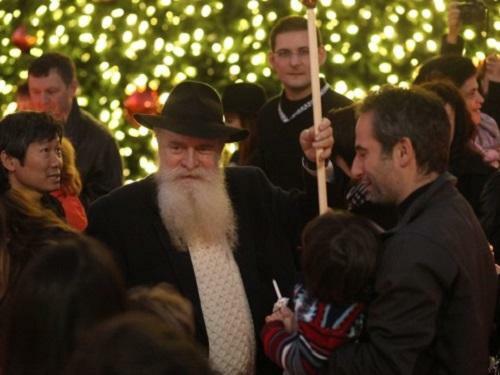 Don’t miss this wonderful holiday tradition that speaks to the misfit in all of us. The show takes place on December 21st at 7:30 p.m. at The Peabody, 600 Auditorium Blvd, Daytona Beach. Visit the website for ticket information. 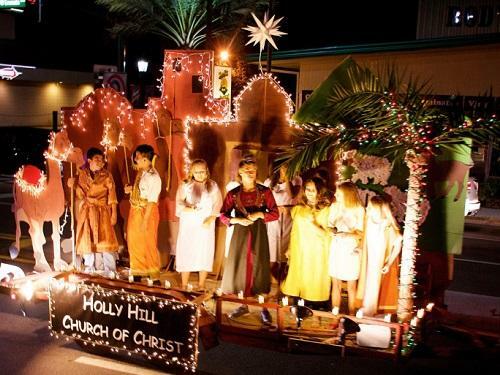 Drive Through Bethlehem in Daytona Beach Shores to experience the sights and sounds of the village of Bethlehem and nativity scene! Make sure you visit the baker in the marketplace for homemade treats. This free event at Christian Church is located at 3140 South Atlantic Ave., Daytona Beach Shores from 6 p.m. to 8:30 p.m. Join the special family walk through on Dec. 17th from 3 p.m. to 5 p.m. for crafts, music, live animals and more! Visit the website for more information. 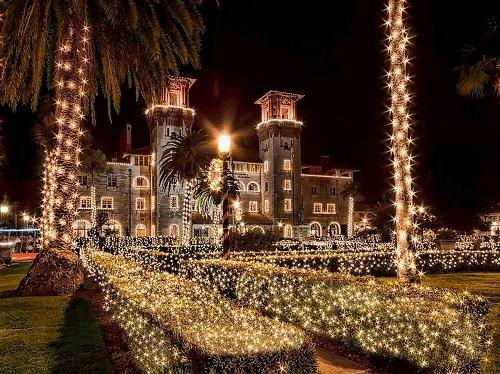 Journey to Florida’s Historic Coast for St. Augustine’s Nights of Lights event! This popular holiday season city-wide event will glow with more than 3 million brilliant white lights this year, attracting hundreds of thousands of visitors to the oldest city in the nation. Nights of Lights runs November 19, 2016, through January 31, 2017. The festival starts with a countdown in the Plaza de la Constitucion before the lights are officially lit at 6:30 p.m. on November 19th. Holiday music and the lighting of the city’s Christmas tree add to the splendor of one of the world’s greatest holiday light displays. Visit the website for more information. University of Central Florida presents Light Up UCF: 50 Nights of Music, Lights, and Ice! Light Up UCF is one of Orlando’s most anticipated winter wonderland light shows featuring ice skating, rides, and holiday attractions. Back for its 9th season, Light Up UCF will run through Saturday, January 7th, and will feature cooler rides, snowier nights, and bigger and brighter lights! In addition to fan favorites like the Ice Rink Pavilion, the Arctic Glide Ice Slide and Light Up Lane, they’ve upgraded the Ferris Wheel, and there will be an all new ride: The Winter Whirl! This is the perfect winter date spot or a fun activity for the whole family to enjoy! Check the Light Up UCF calendar to see when your favorite holiday movie will be playing on the lawn! 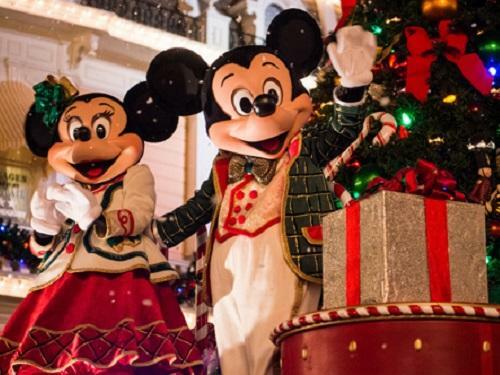 Disney presents Mickey’s Very Merry Christmas Party! Join Mickey at this festive winter celebration for the greatest light show, live entertainment, spectacular fireworks and an oh-so-jolly holiday parade. Now through December 22nd, the whole family can enjoy this perfect holiday event. For assistance with your Walt Disney World visit, please call (407) 939-5277. Do you have a favorite Holiday event near Ormond Beach that we missed? Let us know on Social Media!